You don’t need to purchase a premium photography template for your personal or professional photography website when there are so many free options available online. 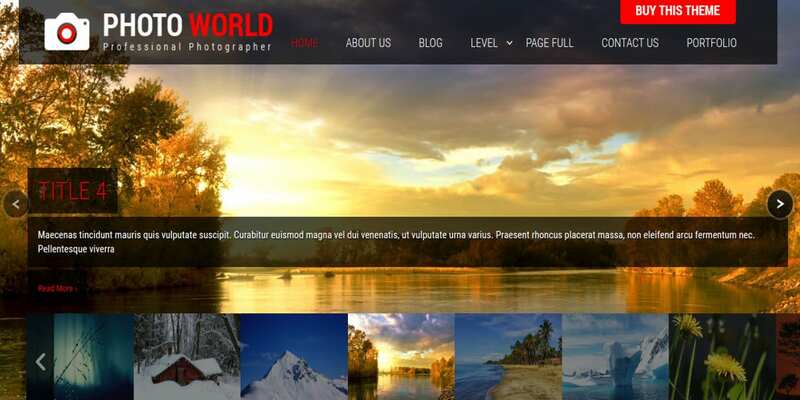 The Photography Website Templates below are custom designed by developers for Joomla and WordPress. 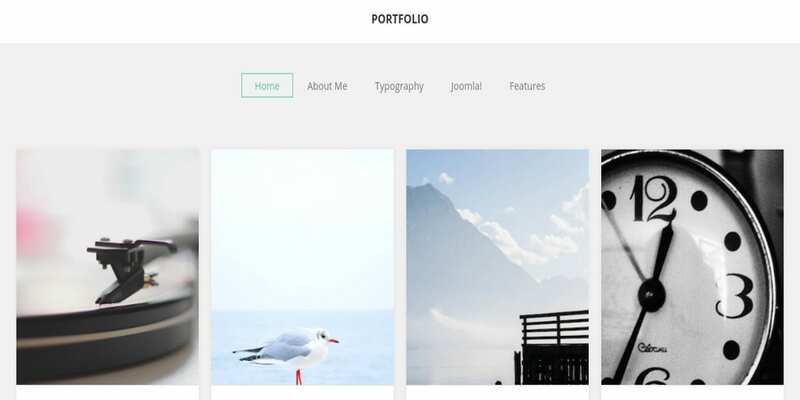 They come with all the elements that you would need to showcase your photography portfolio, including grid layouts, responsive design, social media support, etc. 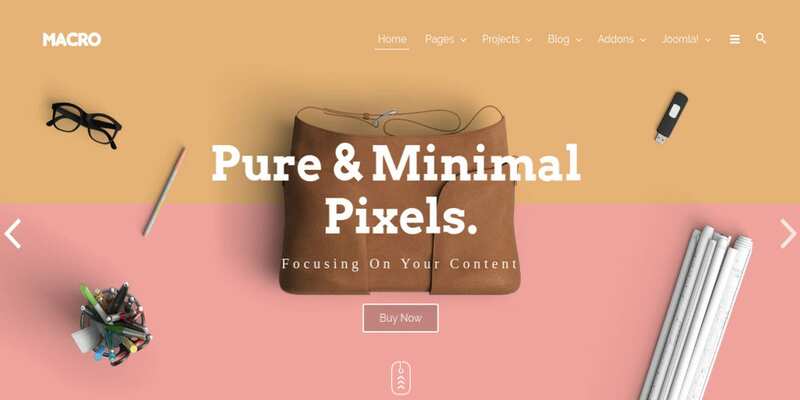 Many modern Photo Website Templates have a minimalist design to best showcase your images. Saga template for WordPress is simple yet effective. It features multiple post formats and oversized images. You can customize the template to use it as a photoblog, a tumblelog or a personal journal. Features include site logo, custom menus and backgrounds, widgets, social links menu and a large number of supported social networks with icons automatically displayed next to them. 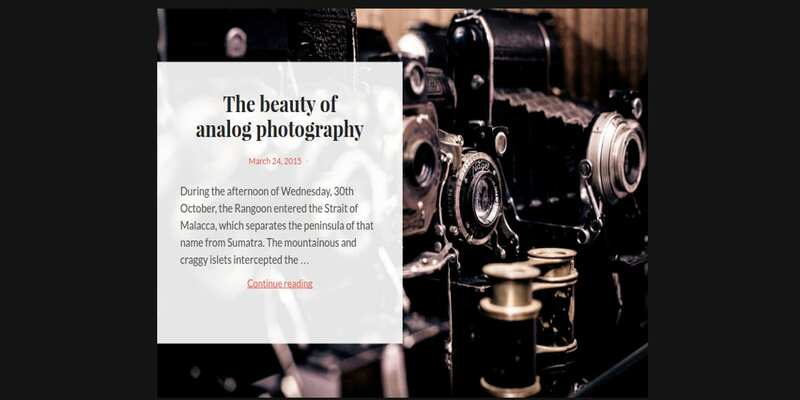 Photographer is a beautiful and stylish lightweight photography and Portfolio Template designed for Joomla. The template is easy to install and completely free to use. It comes with plenty of customization options including flexible image layouts, fonts, colors and animations. The theme is minimalist and features carefully crafted typography. LT Photography is a Photography Joomla Template with a dark color scheme and four color styles to customize with. It features unlimited module positions and a flexible drag and drop content structure. The theme is bootstrapped and comes with powerful shortcodes. It also features a sticky heady, article post formats, MegaMenu, and Off-Canvas menu for mobile devices. Fotoprizer is ideal for Portfolio Websites or photo blogs. It is built on the SMT Framework 2.0 and has a warm and classic white and red color scheme. It is responsive and shortcode ready. It features support for custom widgets, support for WooCommerce and Ecwid, and it also supports image sliders. You can also add custom menus, Antispam without Captcha, and a readymade contacts page. 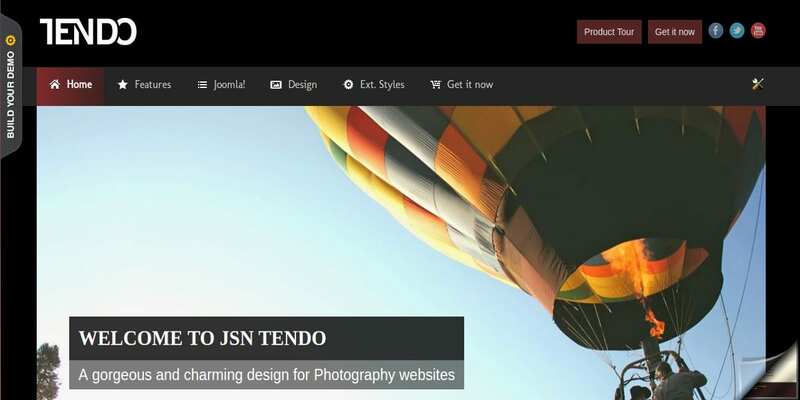 JSN Tendo is an elegant creative Joomla Template with lots of flexibility. It features support for Kunena and K2 which are excellent Joomla extensions for comments and forums. It is responsive and comes with a beautiful image gallery. The free version has four module styles, three menu styles, and over fifteen template parameters that you can customize. Xenon is a striking portfolio theme for showcasing graphics and images. There is minimal clutter so that your website can focus entirely on the images or artwork. It features thumbnail, featured menu, theme options, custom background, widgetized sidebar, etc. It also lets you link colors and customize the color scheme and preview changes with the live customizer. 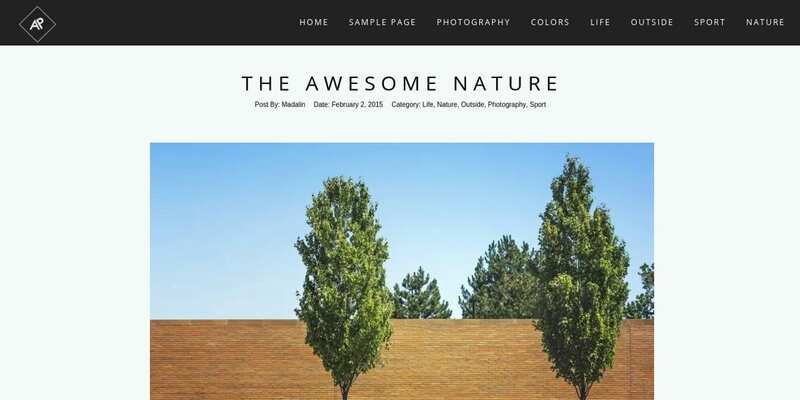 This free photography website for Responsive WordPress Theme is clean and comes with clear coding that can be edited by anyone with HTML or PHP knowledge. It features a large header that you can customize as you wish with the theme options panel. The built-in footer can also be customized with social icons and other elements. 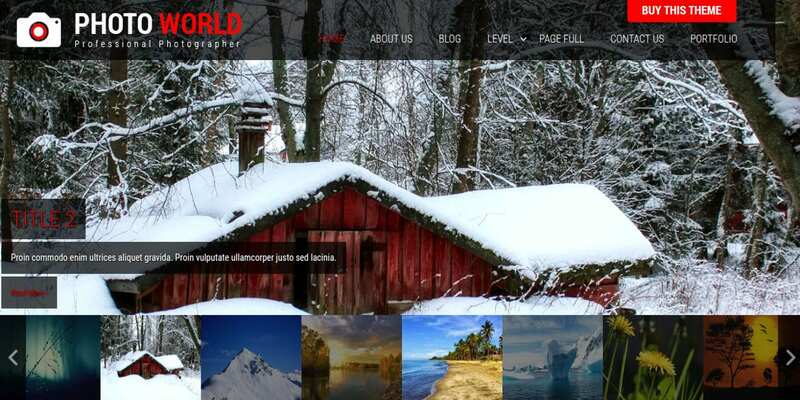 Photo World is yet another WordPress Theme with a simple but visually effective layout. The free version includes features like logo upload, three to five slides in the slideshow, blog page and 404 page, as well as full-width page template. It is coded with HTML5 and CSS3 and is built with support for WooCommerce and Contact Form7. 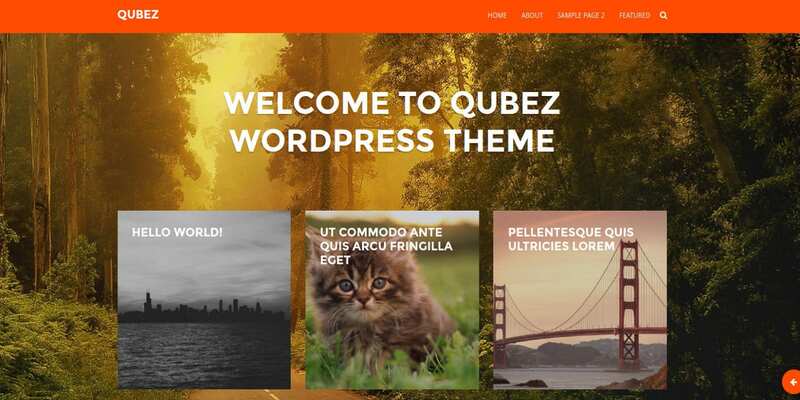 Qubez is Bootstrapped and Responsive Theme with an eye-catching design and hover animation. The single column content area can be enhanced with a show/hide sidebar that can be animated. Qubez is compatible with the jetpack infinitescroll plugin. This plugin offers a smooth scrolling effect. The options panel lets you customize the homepage, social settings, ad banner, and color. The beautiful free photography theme from Design is a neutral theme with an uncluttered grid system with spaces in between the large images. The theme is inspired by the works of Thomas Hawks Digital Connection. It was built with XHTML and CSS and it features widgets, theme options for customization, and menus capability. Wedding Day is a free theme from SMThemes designed particularly for wedding photography. Featuring a bright and sunny color scheme, the template can also be adapted for online accessory stores and wedding stores. It is built on the SMT framework and supports WooCommerce and Ecwid. It also features shortcodes, support for custom widgets and sidebars, and a dynamic content loader. 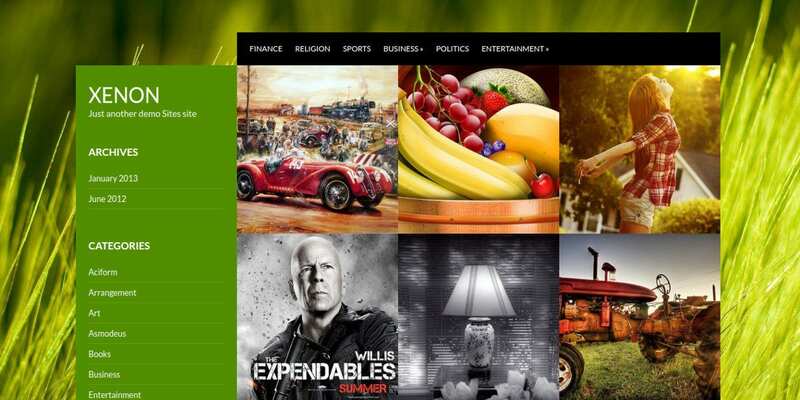 Shooter is a Joomla Template with a beautiful clean design and nearly 8000 downloads. It is built on the Helix 2 framework. The theme is powered by the excellent RokGallery that lets you easily manage photos with the drag and drop function. A jQuery masonry plugin powers the module. You can use the template for a portfolio as well. Adament is a Responsive Bootstrapped Template that needs the Options framework plugin to perform as designed. You will receive a prompt at the admin panel to install the plugin before you begin to use the theme. Adament features a theme options panel that lets you customize the color for various page elements, logo upload, portfolio settings, and homepage slides. The beautiful Photo World rounds up this list with its simple and effective design. The template lets you use backgrounds in the inner pages that can be easily changed. The homepage slider can also be set up to showcase several images. The theme is SEO ready and includes social media integration. 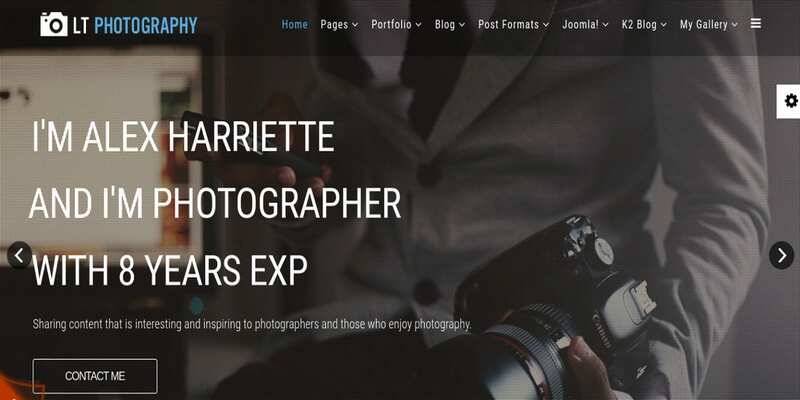 Whether you are looking for professional Photography Theme to showcase your portfolio or want a to set up a personal photo blog, the Photography WordPress Themes and Joomla themes in the list have something for you. 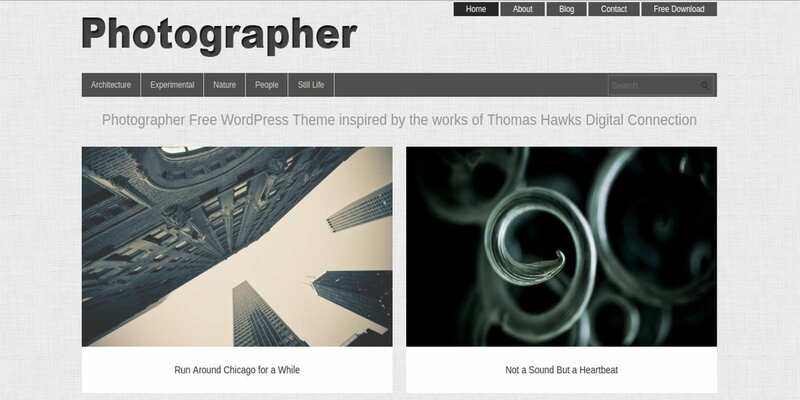 You can easily try out one of these stunning themes today and publish your photographs immediately for your audience.